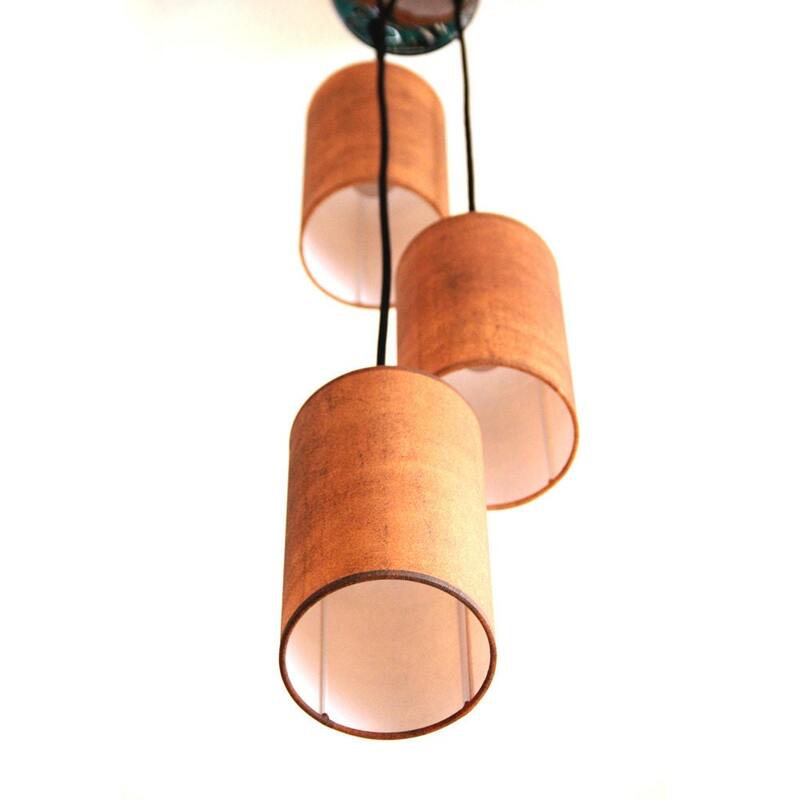 This lampshade is part of our new OXID collection. It is handcrafted with great care and professionalism. 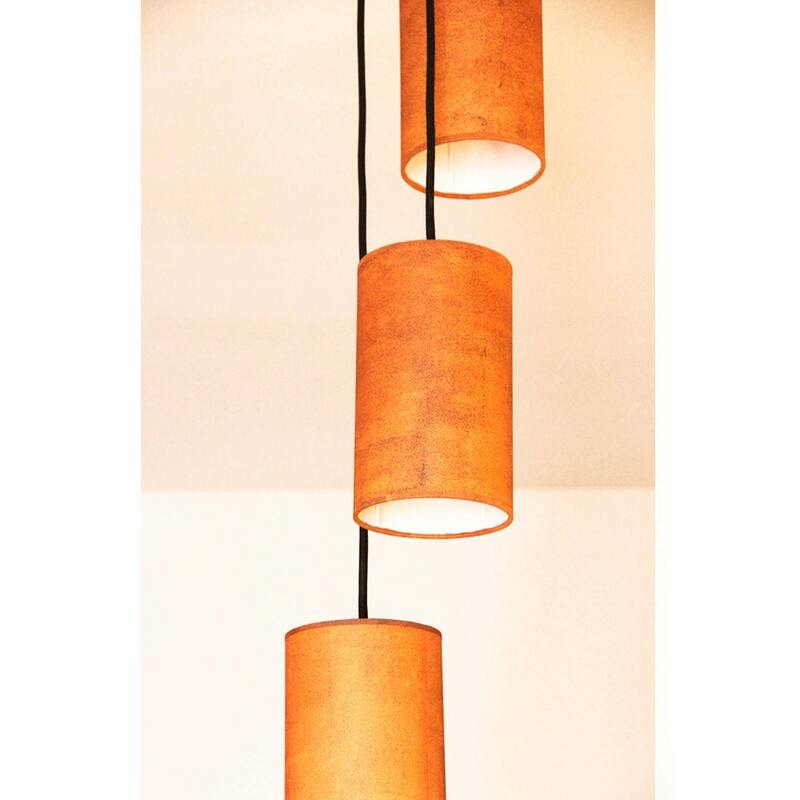 Of those tans and reddish colors of this lamp inspiration is born. 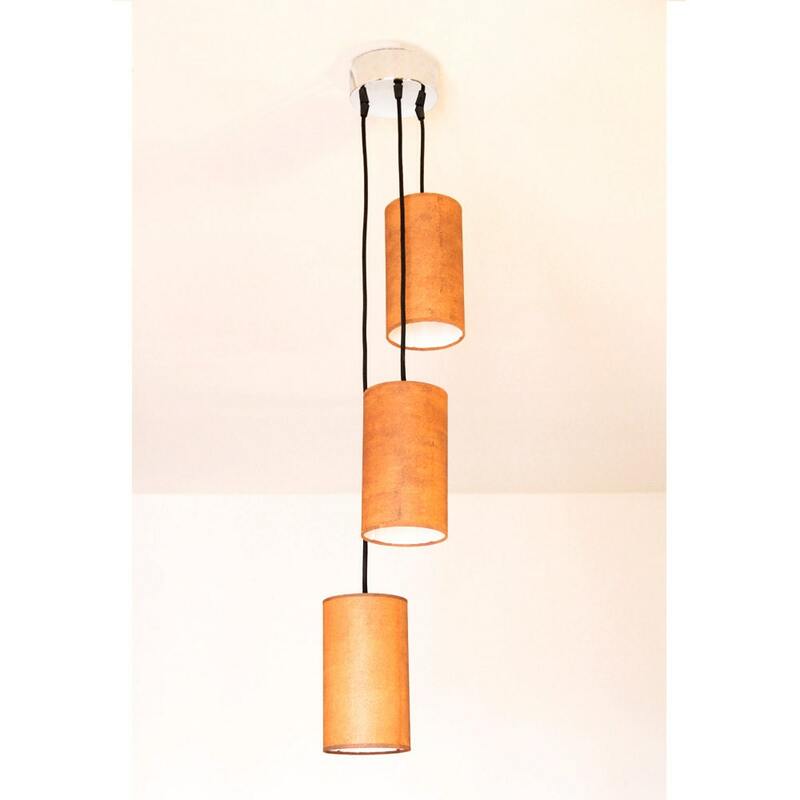 This lamp will be very elegant and give a warm and cozy touch to your space with its beautiful rust-colored hues become more intense when the light bulb through the screen. The materials are manufactured in Spain and meet all safety standards required by the European community. 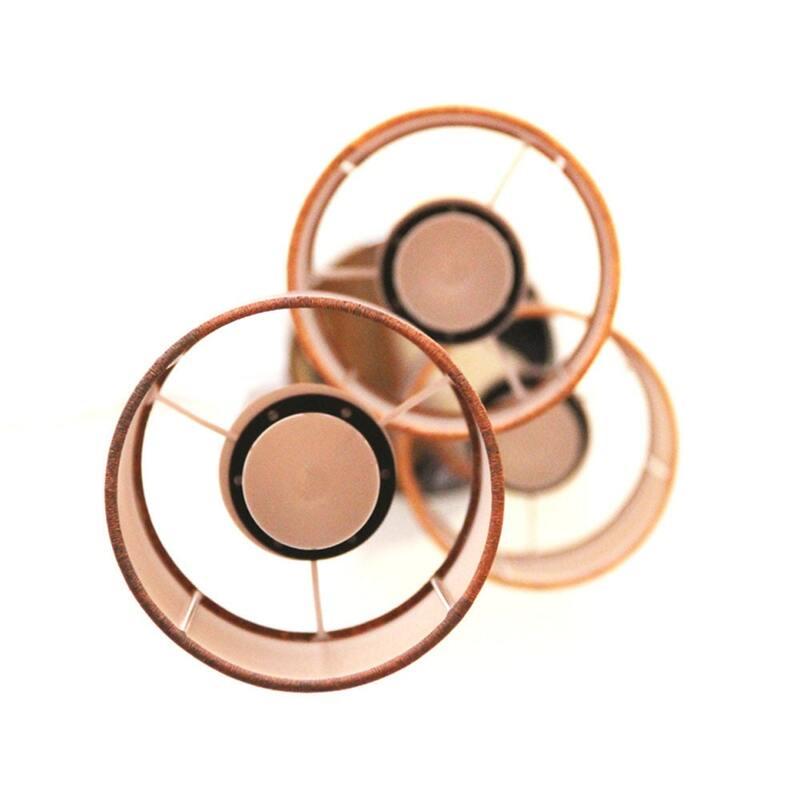 This handmade circular ceiling lamp measures 20 cm (7.87 inches) high and 45 cm (17'72 ") in diameter. It is mounted by hand on the lamp structure. The structure is made of aluminum, coated in an antioxidant that protects white enamel. It comes with three black wires of 1 m (39.4 inches), 75 cm (29.5 in.) and 50 cm (19.7 in.) approximately with a trim that hangs on the ceiling and hides the wires to the length you finally want. The lightbulb is not included. We recommend using a LED or another source of low consumption. This way you save on your electricity bill and help to protect the environment. 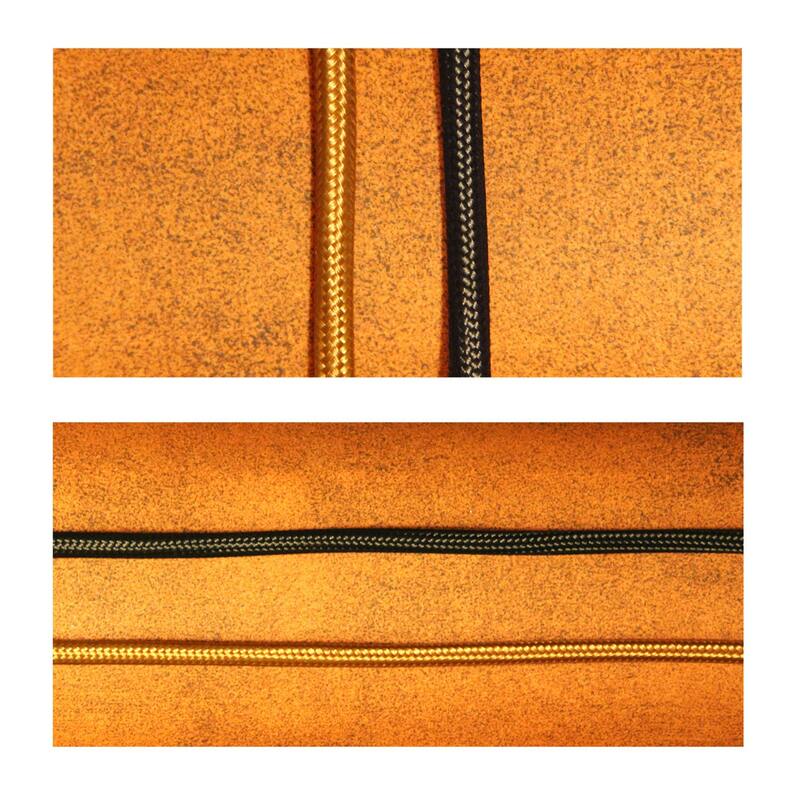 (If you want you can choose our rust-colored or black textile cables and we’ll send it on for 7 €).